Following a quiet offseason the engines will finally roar to signal the start of the 2019 season on February 10 at Daytona International Speedway with a power-packed Sunday doubleheader. It begins at noon with Busch Pole Award Qualifying for the 61st running of the DAYTONA 500 (FOX, MRN and SiriusXM NASCAR Radio). The 2019 Advance Auto Parts Clash follows at 3 p.m. (FS1, MRN and SiriusXM NASCAR Radio) and will feature the sport’s biggest stars battling side by side in a 75-lap showcase. “There’s no better way to start the season,” said Steve O’Donnell, NASCAR executive vice president and chief racing development officer. 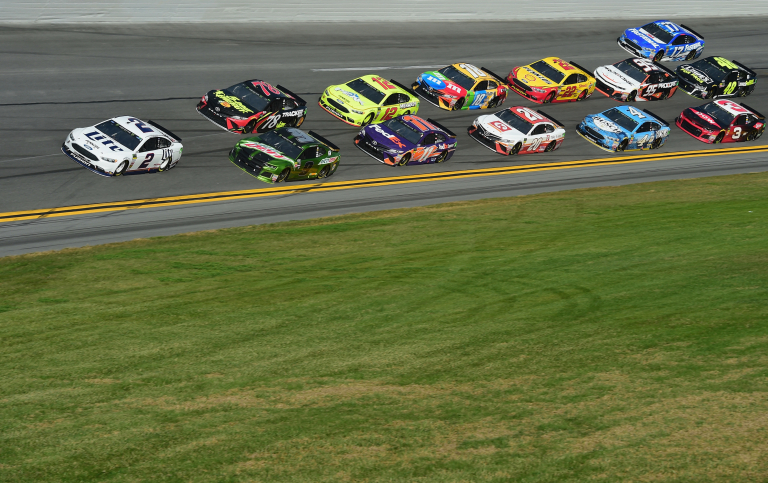 “The close, door-to-door action you see in the Advance Auto Parts Clash is a precursor to the intense competition you’ll see in the Monster Energy NASCAR Cup Series throughout 2019,” O’Donnell concluded. The annual preseason race will run in two segments, separated by a competition caution at lap 25. “It’s a tremendous day of racing for our fans,” said Daytona International Speedway President Chip Wile. “Having DAYTONA 500 Qualifying Presented By Kroger followed by the Advance Auto Parts Clash makes for a sweet first Sunday of Speedweeks and will have fans fully tuned up for the 61st running of the ‘Great American Race’ on February 17,” Wile concluded. The exclusive, star-studded field in the Advance Auto Parts Clash is limited to drivers who were 2018 Busch Pole Award winners, former Clash winners who competed full-time in 2018, former DAYTONA 500 champions who competed full-time in 2018, former DAYTONA 500 pole winners who competed full-time in 2018 and drivers who qualified for the 2018 Monster Energy NASCAR Cup Series Playoffs. Tickets are available now at DaytonaInternationalSpeedway.com or by calling 1-800-PITSHOP. •	Ryan Blaney, Alex Bowman, Kurt Busch, Kyle Busch, Chase Elliott, Denny Hamlin, Kevin Harvick, Erik Jones, Kyle Larson, Joey Logano, Paul Menard, Daniel Suarez and Martin Truex Jr.